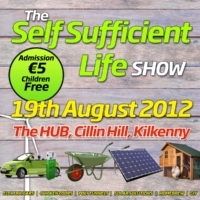 The Self Sufficient Life Show takes place this Sunday August 19th at the Hub, Cillin Hill, Co Kilkenny. This inaugural event family day event combines age old traditions with the latest renewable technologies which can help you life in a more sustainable manner. Purchase.ie will exhibit at this event so if you got any questions about any of our products this is a great opportunity for you to come along and talk to us. We will also be selling some of our products on the stand on the day. A wide range of exhibitors will be present at the event so if you got an interest in any of the below areas it is well worth popping along on the day. Entry on the day is completely free for children and adults only got to pay 5 Euro on the door. Cillin Hill is easy to find just off the main Dublin road and in close proximity to Kilkenny city centre.